Last Date of Submitting Exam form has been extended upto 15th May 2014 without late fee and upto 17th May with a late fee of Rs. 1500!! IETE congratulates PM designate Shri Narendra Modi on his victory in Lok Sabha Elections 2014!! First Reminder letters have been issued to all concerned for expediting the cases of recognition for recruitment / promotions etc. This is for information of all IETE students. !! IETE has made various approach to facilitate it's students with adequate facilities and resources to help them to nurture their studies. With total 61 regional centres spreaded all over in India, most of these centres have excellent & experienced teaching faculties, ET & CS Laboratory, Library, 24x7 Wi-fi enabled campuses, Technical Forums, etc.. But this time IETE has launched Online Lectures recorded under IETE EduSAT programme. Yes, like NPTEL programme, IETE has it's own EDUSAT programme for it's Students member. 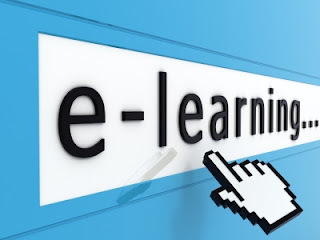 IETE has recently launched number of recorded lectures developed by IETE PUNE and NOIDA under IETE EDUSAT programme, on its http://iete.org website with help of Educational Technology Services Centre, IIT Delhi. **we advice you to download lectures wisely, as there is a Download Limit of 25 Lectures per month per user. Some of the lectures are also available on YouTube. Last date to submit your exam form has been extended upto 15th May without late fees and 17th May with late fees, at Delhi Centre!! *PAC Gurgaon under IETE Delhi Centre has been recently inaugurated on 14th January 2012 by Chief guest Sh. RK Gupta, President IETE ! !